Across the Dept. of Defense (DoD), leaders are looking at technology solutions for complex challenges. For future logistics support, additive manufacturing, or 3-D printing may hold the key. Many of today’s weapons systems and platforms are legacy systems that were designed and manufactured decades ago and are maintained through expensive repair or replacement parts. Day said he’s optimistic that as the technology matures, 3-D printing may provide a cost effective and efficient path to keeping systems at full readiness. The general toured ARL’s Rodman Materials Research Laboratory and learned about the Army’s initiatives for unique additive manufacturing technologies like cold spray. Cold spray is a material-deposition process where metal or metal-ceramic mixtures of powders are sprayed to form a coating or even a freestanding structure. “The particles embed on impact, forming a strong bond with the surface,” explained Victor Champagne, ARL’s Advanced Materials and Processes team leader. Day also met with the laboratory’s additive manufacturing team to discuss advanced techniques that will one day enable confidence that critical parts will perform as intended. Day said he hopes future processes will result in parts that are “just as reliable” as traditionally manufactured parts. 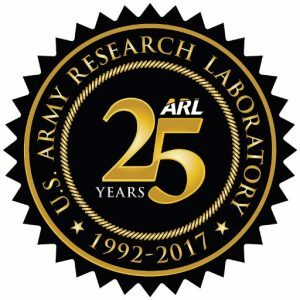 “We conduct the fundamental interdisciplinary research in materials and manufacturing science that will ensure rapid and affordable development of materials, from discovery to delivery, critical to the Army of the future,” said Dr. Jeff Zabinski, director of ARL’s Weapons and Materials Research Directorate. “Our goal is to create a science base that is the foundation for making in-line certified parts that will reduce logistics burden and enable rapid response to unknown threats. Day oversees more than $3.8 billion in annual sales in the DoD’s aviation demand chain. 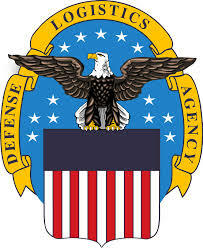 His organization, DLA Aviation, supports more than 1,800 weapon systems and is the DoD’s integrated materiel manager for more than 1.1 million national stock number items, industrial retail supply and depot-level repairable acquisitions. The Department of Defense (DoD) has issued a Final Rule that gives added protections to the technical data of privately developed commercial items incorporated into major systems, including major weapon systems. This rule implements Section 813(a) of the National Defense Authorization Act (NDAA) for Fiscal Year 2016 and modifies 10 U.S.C.§ 2321(f). In general, a defense contractor’s assertion that a commercial item was developed exclusively at private expense is presumed to be valid, even if the contractor does not respond to a challenge notice from the Contracting Officer. Prior to the Final Rule, however, this presumption (known as the “Commercial Rule”) did not apply to DoD’s procurement of “major systems” or “subsystems or components of major systems,” unless the technical data related to commercially available off-the-shelf (COTS) items. Thus, without the benefit of the presumption in connection with the procurement of a “major system,” contractors were required to justify their assertion that an item was developed exclusively at private expense if they wanted to restrict the Government’s rights in the underlying technical data. The federal government should leverage all of the flexibilities currently provided by the Federal Acquisition Regulation and engage in continuous and open communication with industry, according to four technology associations that jointly issued a whitepaper on Dec. 8, 2015. The groups lay out six guiding principles that should be embraced across the federal government to ensure government applies the latest and greatest technology to its mission and enhances the performance of federal technology programs, according to a joint press release from the Professional Services Council, Technology Councils of North America, Northern Virginia Technology Council and the California Technology Council. “Regardless of where or how a company may approach the federal market, these principles form the core of a sound, competitive, open and effective acquisition process. Our collective goal is to enable the government to reach, directly or indirectly, the full array of capabilities and solutions that exist in the private sector to deliver effective mission results,” said the whitepaper. A group of public and private sector technology councils are suggesting ways the federal government could get better at buying IT. A white paper published this week highlights six areas where the government can modernize or update the way in which it purchases services and technologies from private companies, crafting a number of ways feds could amend acquisition regulations. “Our collective goal is to enable the government to reach, directly or indirectly, the full array of capabilities and solutions that exist in the private sector to deliver effective mission results,” the paper reads. Among the suggestions are integrating an “innovation template” and “emerging technology provision” into contracts to give agencies flexibility when it comes to acquiring rapidly evolving tools. The paper also calls for best value/cost-technical tradeoff to be the default evaluation technique used for services acquisitions except for the most basic, commoditized requirements, as well as to include “an alternative solution or strategy” that differs from RFP requirements as long as the solution meets the contract’s desired outcome. In late December, Jeff Bezos’ Blue Origin managed to do what most refer to as the ‘Holy Grail of Rocketry’ — successfully send a rocket 62 miles into space and then, in a carefully controlled descent, land it upright just four-and-a-half feet from the center of its Launchpad. The space administration recently announced its Startup initiative by opening up around 1,200 patented technologies to U.S. startups to commercialize at no upfront costs. The White House plans to prioritize emerging technology and big data in the fiscal year 2017 budget, according to a memorandum published last week. 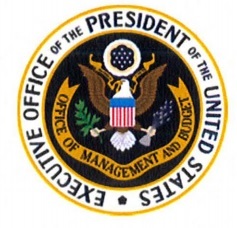 When submitting budget requests to the Office of Management and Budget, federal agencies should “prioritize investments in enabling technologies that benefit multiple sectors of the economy, such as nanotechnology, robotics, the Materials Genome Initiative, and cyber-physical systems and their application to smart cities,” the memo said. General topics mentioned in the memo include “advanced manufacturing and industries of the future,” and “information technology and high-performance computing,” in addition to other science-related subjects such as climate change. When he enrolled as a Ph.D. student in Georgia Tech’s College of Computing five years ago, Vijay Balasubramaniyan never expected to become the CEO of one of Atlanta’s hottest young information security companies. Today, the phone call fingerprinting technique he developed provides the foundation for Pindrop Security. The three-year-old company has attracted $12 million in investment from Andreessen Horowitz, one of Silicon Valley’s most prestigious venture capital firms. Pindrop already has customers among the top U.S. companies, including two of the nation’s five largest banks. As CEO, Balasubramaniyan handles duties that are vastly different from his Ph.D. days, such as meeting with marketing and engineering staff and dashing off to customer meetings on the West Coast. In addition, he regularly checks a large computer screen that monitors potentially fraudulent calls going into call centers of the company’s customers. From an office in Georgia Tech’s Technology Square, the company is building a business to help battle the multi-billion dollar problem of fraud committed using the telephone. On March 27, Pindrop will be one of three companies celebrating their success with “graduation” from the Advanced Technology Development Center (ATDC), Georgia Tech’s startup incubator. The ATDC was started 33 years ago to create technology jobs and economic growth for the state of Georgia. Pindrop Security provides solutions to protect enterprise call centers and phone users from fraud. Headed by Georgia Tech graduate Kyle Porter, SalesLoft helps companies find prospective customers using information available on the Internet. MessageGears helps clients customize their email marketing messages while keeping customer data securely behind firewalls. ATDC assists companies spinning out of Georgia Tech, those headed up by Georgia Tech alumni, and companies that have no direct Georgia Tech connection. The common denominator is fit with the ATDC program. ATDC emphasizes coaching, support from a community of entrepreneurs, and connections to a broad range of resources. The companies receive access to Georgia Tech resources – students, faculty, and research facilities. Additionally, they can connect to industry giants such as AT&T, which recently located one of its Foundries in Technology Square to be close to the startup community there. Each of the 2014 graduates cites a different benefit from ATDC, which isn’t surprising, said Reddy. Among the newest programs are Industry Connect and Campus Connect. Industry Connect brings in representatives from Atlanta’s largest corporations to learn about startups that may have solutions to the challenges they face. In 2013, ATDC’s Industry Connect program facilitated more than 20 contracts between ATDC startups and Global 1000 companies. Campus Connect helps ATDC companies leverage Georgia Tech resources, connecting them to one of the nation’s top ten 10 publicly-supported universities, with a science and engineering research program that is among the largest in the United States. Beyond faculty and research assistance, the Georgia Tech connections also lead to great students. A recent career fair held with the Georgia Tech College of Computing and School of Electrical and Computer Engineering attracted 150 students, who learned about opportunities at 25 startups. Internships and new hires will likely result, Reddy said. ATDC companies tend to fall into two categories: those with high market risk and low technical risk – such as social media companies, and those with high technical risk and low market risk, including many of the science-based startups spinning out of Georgia Tech. Those two groups help one another, and build a robust ecosystem. Reddy believes ATDC has a great reputation, one that should make it top of mind for any technology entrepreneur in Georgia. To help meet the growing demand for support to Georgia technology entrepreneurs and startup companies, Georgia Tech is strengthening and realigning resources in its Advanced Technology Development Center (ATDC), a technology accelerator that has assisted entrepreneurs for more than 30 years. ATDC will expand its staff of technology catalysts and entrepreneurs-in-residence, add new facilities to support specialized startups, and expand office and incubator space at its headquarters in midtown Atlanta’s Technology Square. The expansion will involve hiring new personnel and refocusing responsibilities for some existing positions. ATDC helps Georgia entrepreneurs launch and build successful technology companies by providing coaching, connection and community-building services. Founded in 1980, ATDC has helped create thousands of jobs and millions of dollars in tax revenues by graduating more than 140 companies, which together have raised more than a billion dollars in outside financing. During 2012, ATDC assisted 322 technology companies, currently houses more than 40 startup companies in its incubator facilities, and plans to graduate five additional companies in at its annual Startup Showcase in April. ATDC currently has three facilities: two in Atlanta – its headquarters plus a satellite life-sciences facility on the Georgia Tech campus – and one as part of Georgia Tech facilities in Savannah. Multiple new satellite facilities are planned in Atlanta to provide space for startups with specialized needs, such as microelectronics fabrication, medical device development, advanced manufacturing and sustainable energy. ATDC serves Georgia technology entrepreneurs, regardless of whether they have a connection to Georgia Tech. However, intellectual property arising from Georgia Tech’s $655 million-per-year research program has driven many recent startup companies, including photovoltaic manufacturer Suniva and medical device developer CardioMEMS. Georgia Tech’s nationally-recognized VentureLab program focuses on commercializing the results of research activities, and will benefit from the expansion of the ATDC. Related programs for startups include Flashpoint, a program that educates company leaders in startup discovery, and the National Science Foundation’s (NSF) I-Corps, which teaches NSF-supported researchers to identify commercial opportunities and test their viability using scientific principles. The ATDC expansion will be accomplished by reallocating existing Georgia Tech resources without additional state funding, and will be completed by the end of the fiscal year on June 30, said Stephen Fleming, a Georgia Tech vice president and general manager of the Enterprise Innovation Institute (EI2), the parent organization to both ATDC and VentureLab. In all, ATDC expects to hire six additional entrepreneurs-in-residence (EIRs) and catalysts who will be focused on supporting the growth of technology entrepreneurs and startup companies. ATDC catalysts are full-time staff members who support companies and manage the programs of the incubator. ATDC EIRs are experienced entrepreneurs who work part-time for limited periods of time assisting startup companies by sharing their long-term experience. In addition, five existing EI2 employees will be reassigned to support the development of startup companies. ATDC is currently interviewing candidates for its general manager, who will oversee the planned growth. Fleming expects to name the new general manager during the second quarter of 2013. EI2 also recently hired a new principal for VentureLab. 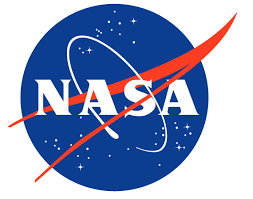 NASA might be cutting $1 billion from its space operations budget but a new study claims there are billions in opportunities in science and technology areas.